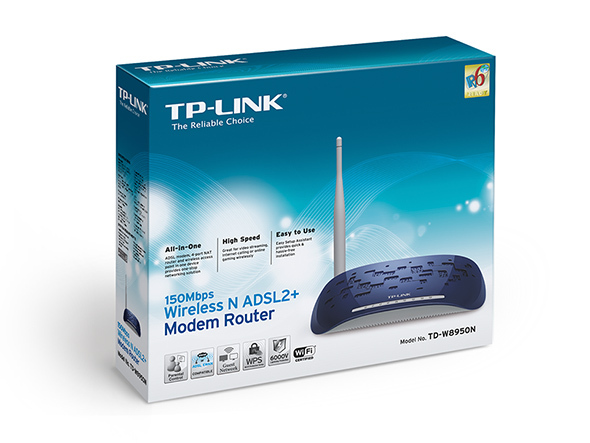 TP-LINK’s TD-W8950N 150Mbps Wireless N ADSL2+ Modem Router is an incredibly robust all-in-one device allowing users to access high-speed internet connection via ADSL or Ethernet WAN (EWAN) using its interchangeable LAN/WAN port and share it wirelessly at 150Mbps wireless 802.11n speeds. Using the TD-W8950N, you can easily create a secure and high-speed wireless network and enjoy more kinds of bandwidth consuming applications like HD video streaming wirelessly which can not be accommodated by 11g products, from anywhere in your entire home or even the yard. 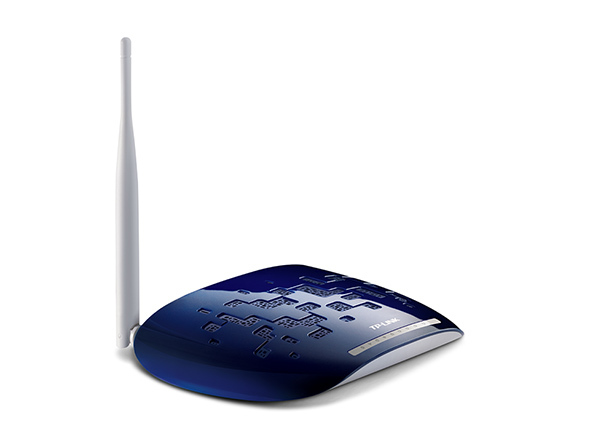 The TD-W8950N does the work of several networking devices packed into one sleek device. 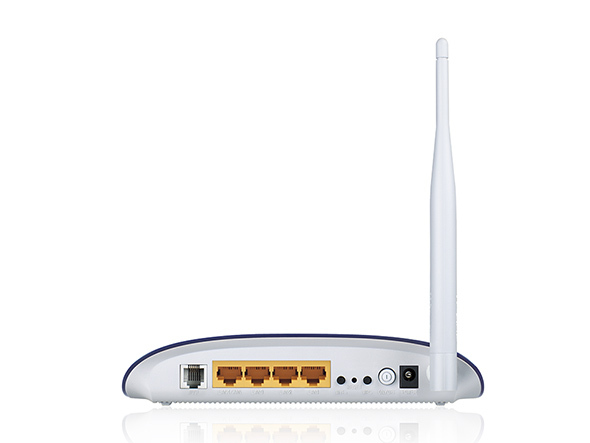 With an ADSL2+ modem, NAT router, switch and 150Mbps wireless access point, this device eliminates the need to purchase multiple devices to access and share a high-speed wireless Internet connection. The TD-W8950N supports ADSL or Ethernet WAN connections (EWAN) that allow users to have the flexibility of different Internet connections among ADSL, cable or fiber modem using its interchangeable LAN/WAN port. This unique feature makes it easier when users need to change to fiber or cable services when necessary. 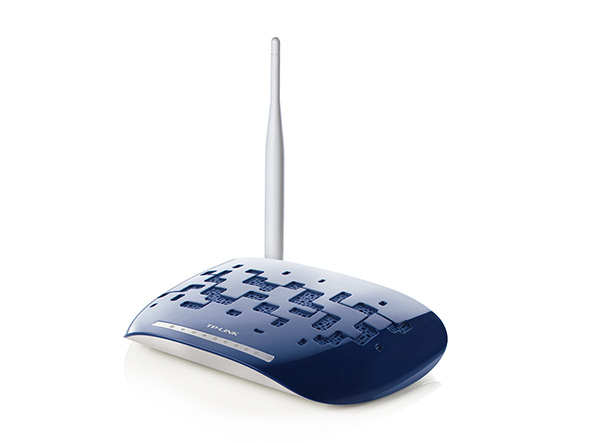 TD-W8950N is a high speed solution that complies with wireless 802.11b/g, and is compatible with 802.11n standard. Based on N technology and with CCA™ automatically avoiding channel conflicts, TD-W8950N provide speeds of up to 150Mbps, 9X the speed and 4x the range of traditional 11g products, bordering on conventional 11N and surpassing 11G performance enabling high bandwidth-consuming application. Push the "WPS" button or enter the router's PIN Code in the wireless client, and it will automatically establish a WPA secure connection. IP QoS allows network administrators to allot a specific amount of available bandwidth to each network connected device simply by identifying it by its IP address. The next generation of Internet protocol, helping you to future-proof your network. *All the above information applies to TD-W8950N 1.0 ONLY.